Unfortunately, I do not have many ways to pay for college, which I will be entering into in the fall of 2011. I do not qualify for either of the Cal Grants, or the Pell Grant. However, I can apply for scholarships including a scholarship from whatever college I decide to enter into. In this essay I will be showing the list of scholarships I have and will be applying for. I will lay out my estimated expenses along with what I hope to earn. I plan to attend a private Christian four-year college in the Fall 2011 semester. 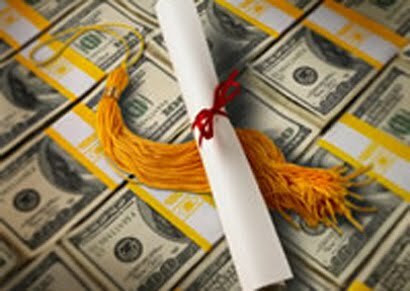 The average cost per year of a Christian college can range between $22'000 per year to $38'000 per year. Obviously, I need financial aid. My GPA is high enough that if I do very well on my SAT's there is a chance that I will receive a good scholarship from the college I choose to go to. So, the first step in my process of paying for college is to keep my grades high and do well on my SAT's, much higher than the last time I took them. The second part of the process for me is to be continually looking for and applying to different scholarships. The first thing that I did was sign up for fastweb.com, scholarships.com, and zinch.com. All these sites give a list of scholarships that I am eligible for. Many are essay based scholarships and some do not require an essay. Zinch.com even has a weekly scholarship that only requires 2 to 3 sentences. The scholarships that I plan to apply for are in order of application deadline date. I will be working on them as they approach. I am looking forward to seeing what I can accomplish as well as if it pays off. Looking at all I have to do some of these may not be accomplished but I will be doing the best I can with the time I have. I am prepared mentally to accept the fact that all of my schooling may not be payed for and I may have to take out student loans. This will not be my first choice obviously, but I am prepared to do what I have to. Great job with signing up on FastWeb, Scholarships.com, and Zinch. Those are wonderful resource sites to match you up with scholarships you are eligible for! We run the "Frame My Future" Scholarship Contest, and look forward to receiving your entry for the 2011 entry period. Best of luck with all of the scholarships you enter!